job seekers on available Jail Warder 670 Vacancies. Such aspirants who are willing for such opportunity they must apply online on or before dead line. Dynamic candidates of the same state are advised to submit the online filled application by visiting the website of this department to appoint as policeman. To clear in all the rounds of appointment job grabbers need to prepare well with the help of exam pattern and syllabus available on this web page. Candidates will get attractive scale of pay after joining. 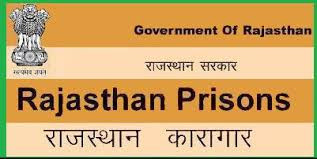 All the required details in association with process to apply for Rajasthan Jail Prahari Recruitment are declared below on this web page for the visitors of this web portal. To grab this opportunity apply through online latest by final date that is 16th August 2018. All the best to all applicants for this golden chance of jobs!! Upcoming chances of jobs in Rajasthan State in the same department will be available in official website that is www.jailprahariraj2018.in by which optimistic candidates can find more new notices. For more news updates of jobs from ejobhub make bookmark this page and visit any time. Now read details and then apply today. Structure of Salary: Appointed candidates will be given Pay scale of Rs. 12800/- per month with other incentives/ other allowances according to their performance in work and rules of organization. Educational Qualification: Job fighters must be Secondary or 10th class form recognized by Board with Working knowledge of Hindi written in Devanagari script as well as Knowledge of capital language and culture. Age Limitation: Age of the applicants must be between 18 to 26 years. Relaxation will also be provided to the aspirants as per norms of Government. Application Fee: Applicants are advised to pay application fee given below category wise through E-Mitra Kiosk. Process of Selection: Applicants will select on the basis of their performance in Written Examination, Physical Efficiency Test (PET), and Medical Examination. All shortlisted candidates will be called for selection Process but no TA / DA will be paid for attending the Rajasthan Jail Prahari hiring schedule. Now press on “Examination Notifications” tab and choose right link.